and several parts out of the self-portayal of Bundespresseamts, TV reports on 'Geld oder Leben', Domradio 'Gay-Lobby im Vatikan', documentation on 'Lobbyism' by german TV ZDF / 3sat and by american TV reports. 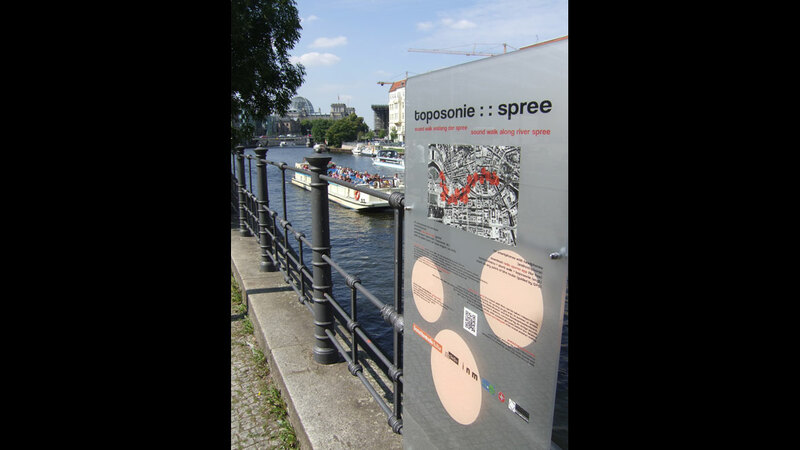 The project toposonie::spree consists of a sound walk with new technology: a smartphone application (app), with which sounds are played back depending on the position within the urban space and can be listened to with headphones. In contrast to an audio guide with a fixed route and duration, it is possible for the listener to move about freely within the area at his own pace. 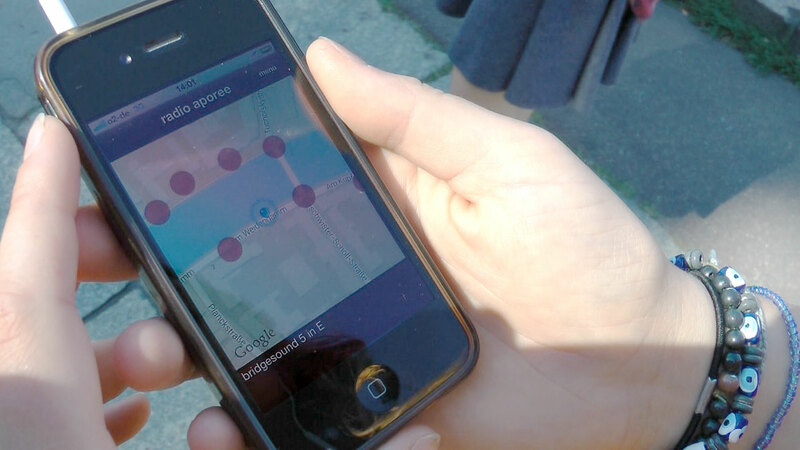 By means of GPS, sounds are precisely attuned to the location of the listener. 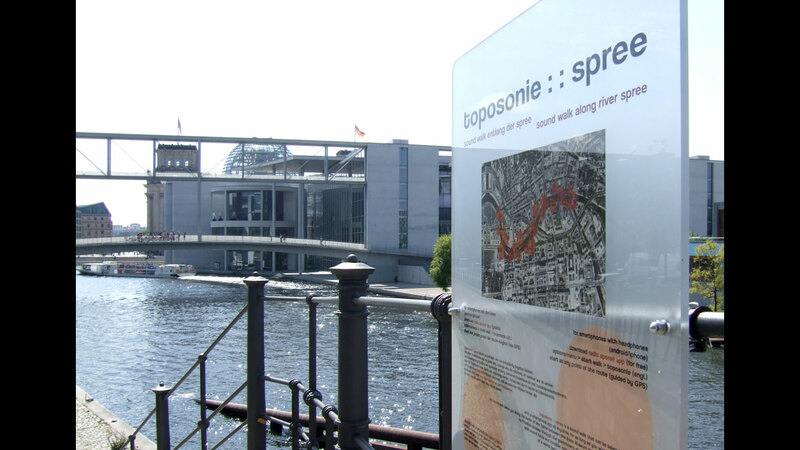 Thus, it is also possible to start at any point within the area of the sound course on the banks of the Spree. The visible and audible surroundings are overlaid with a second (audible) layer with the sounds in the ear. Sounds are superimposed over the events, they colour the world around the listener and disconcertingly reveal another reality with layers and narratives behind the outwardly perceptible surface. The interiors of the buildings in the museum and government district, which are only visible from the outside, become audible as artistically intensified atmospheres, sounds and voices. These voices do not appear by chance – they are the invisible voices on the political scene, the lobbyists, who approach the sound walk participants suddenly and unexpectedly. 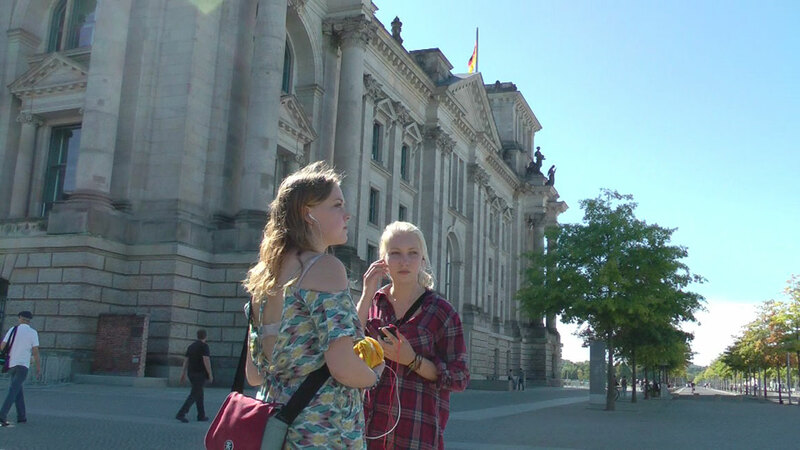 The sound course takes the listener through the lobby jungle in 14 scenes, with disruptive actions in the Reichstag, past a session of the Bundespressekonferenz [Federal Press Conference], over a blogger’s disclosures about the classified information office of the Bundestag to the Career Center at Humboldt University, where “public affairs” and “political consulting” agencies introduce themselves. Between the scenes, which are similar to radio plays, real and unreal sounds continually appear that colour and transform the environment on site, such as at the six bridges, each of which has been “tuned” to a particular resonant frequency. 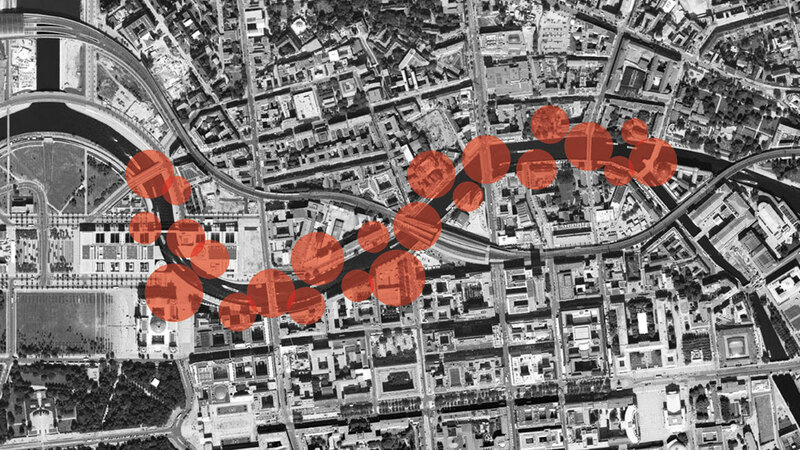 The sound walk thus becomes a personal game with reality that affords the listener an acoustic glimpse behind the post-card views along the banks of the Spree. The moment of reality is greatly intensified as a result of the special record-ing technology, thus creating disconcerting perceptual perspectives. The listener may spend longer or shorter periods of time in the various sound fields, go back and forth to reach particular sound points, continue walking or change directions. The sound walker thus walks through his own “work,” his personal sound walk. 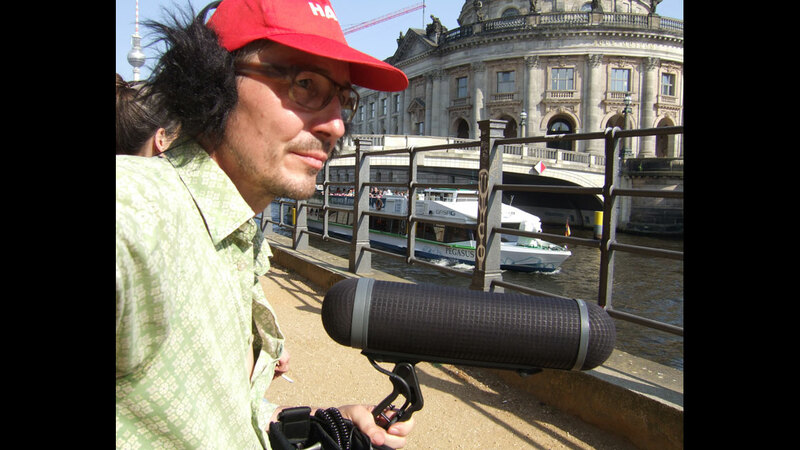 A participating listener’s walk can also be recorded – in any length, whether he moves through the sound course for only 10 minutes or 2 hours – and afterwards he can make “his” sound walk accessible to others, share and invite them to listen to it.